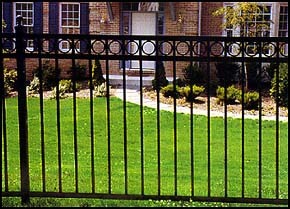 These sections have larger components that allow these fences to be 33% stronger than our other Residential sections. This is the only series with rings available as an option. Windsor Plus is a variation of the Windsor style with rings between the top two rails.